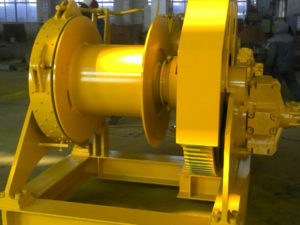 Tugger winch is the device specially designed for marine towing operations for different types of ships including offshore support ship, oil field guard ship, multi-purpose ship etc, for example, towing a ship to leave or stop at a port or transfer the mooring point, and it’s also used to offer anchor handling operation and pipeline dredging for offshore platform which has no ability of self navigation. It is applied on tug boat to maneuver other vessels by pushing or dragging them, and there are seagoing towing, harbor towing and river towing according to working occasions. Tugger winch can be divided into air tugger winch, electric tugger winch, hydraulic tugger winch, combined winch and diesel winch in the light of power drive. 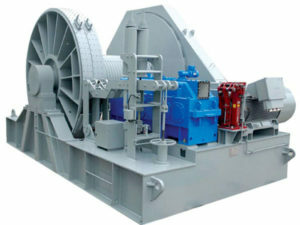 The air winch adopts compressed air as its power to drive air motor. It mainly consists of drive device, drum device, brake device, spooling device, clutch device, base and so on. The tug winch is usually installed on aft decks of tugboats in different types, ranging from small river tug boats to large-scale seagoing tug boats. The winch is usually with large rope capacity and load bearing capacity especially when it’s used to tug large boats. 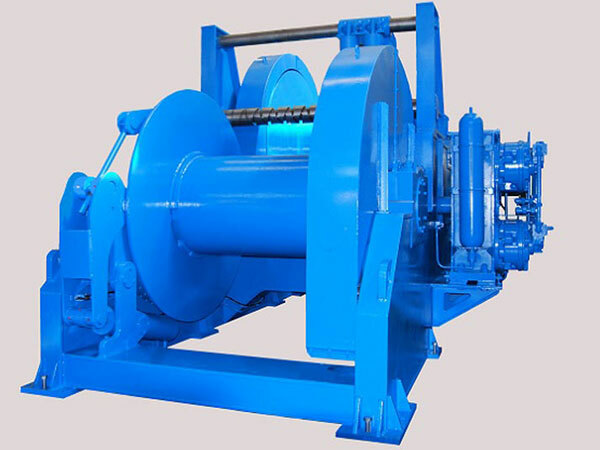 The tugger windlass is designed with single drum, double drums, or multiple drums with or without warping head in accordance with clients demands. As an important tugger machine used on tug boat, tugger winches have been widely used for a long time on different working environment. The winch should be outfitted with spooling device, overload alarm, the device indicating rope length let out and the device measuring the towing load. The drum device includes drum, big gear wheel and brake wheel, and the big gear and brake wheel are generally set on the two sides of the drum. Steel plate is usually adopted for drum because it bears heavy force. For large tugger winch, its brake and clutch device always adopt hydraulic drive and control to improve the operational reliability. 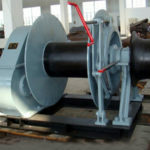 The winch is supported by wall frame which is connected with base by bolt or welding to ensure the compact structure. There are automatic tugger winch and non-automatic tugger winch according to different operation and control ways. Automatic towing winch can detect the rope pull and the releasing length and adjust the releasing and letting in the rope automatically according to changes of the pull and releasing length. The winch can be outfitted with chain wheel and warping head on request. The towing winches including electric and hydraulic winches should be equipped with drum brake, and it should be with two functions: normal brake and emergency brake. Under the circumstance of prime mover without torque, the emergency brake load should not be less than twice the maximum bollard pull. If the brake is operated by power, it should also be manually operated. Interested in our tugger winches? or want the best prices? When you plan to buy a tugger winch, you are suggested to take some important things into consideration carefully to make sure that you will get the quality winch product as you expect. 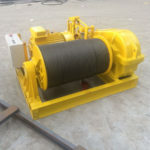 First you should know the rated capacity you need, which is important information for the supplier to provide you with suitable winch, and you can begin the search with that in mind. You also should know the conditions of the boat to be equipped with the winch well, like its size and shape, and the drive type you want for the winch, including electric power, hydraulic power and diesel power. You have to provide the information for the supplier in order to get right tugger winch to suit your boat and meet the work needs. 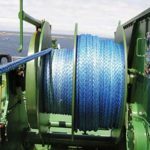 When it comes to choosing the winch provider, it is very important and necessary to select and cooperate with the suppliers which have been in this business for years and have good reputation on their products and service. 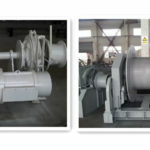 The supplies in this industry for a long time know well about the winches, and know how to provide the most suitable and affordable winches for the clients according to their different requirements; since they are reputable for the products, they will manufacturer and offer quality winches for their customers. 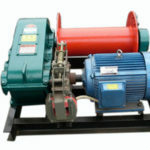 It is worth noting that winches with cheap prices are not always have good quality. If you only consider the price and make a wrong choice, it will be costly in the long run because the winches may need much maintenance. Ellsen Equipment Company designs and produces tugger winch which can be outfitted with any kind of configuration, with any desired load capacity and powered by hydraulic drive, electric drive or diesel drive complying with customers’ needs. If you need tugger winch, please contact us and we will offer you details as you want. 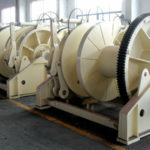 We need the following information for designing and manufacturing the suitable tug winch for your boat: number of drum ( one, two or three), number of warping head if necessary (one or two), rope diameter, rope capacity, drive mode (electric drive or hydraulic drive or combined drive), boat size and shape, needing chain wheel or not, color etc. For more information, just contact us.